Engr. Rezaul Karim is a Mechanical Engineering graduate from BUET, batch of 1970. Soon after his graduation, the country experienced political upheaval leading to 25th March, 1971 and the liberation war. After independence, Engr. Rezaul Karim embarked upon a business journey to manufacture a wide range of import substitute engineering products for BADC, BPDB, BWDB and other Govt. agencies, who were then busy reconstructing our war torn nation. Soon Engr. Rezaul Karim established a name for himself amongst all professionals, end users and peers. He moved from Tetulia to Teknaf, tracking the whole country trying to understand the development needs of emerging Bangladesh. He then designed, developed and manufactured products after products to meet the needs of this emerging nation. With this humble beginning, Engr. Rezaul Karim embarked onto yet another industrial venture which no one could even conceive in the late 80s - cement. He organised a group of entrepreneurs with engineering and successful business backgrounds, and spearheaded the inception of the cement industry in 1992. Hence, Confidence Cement Ltd. (CCL) became the pathfinder of all cement industries in Bangladesh. Today CCL has gone onto establishing its third unit with an annual production capacity of 1.5 million tons. Soon after this was achieved, his leadership and vision motivated Confidence Group to organise a team to set up yet another new cement industry around Dhaka with a target production capacity of 1.5 million tons. From 1972 till date, Engr. 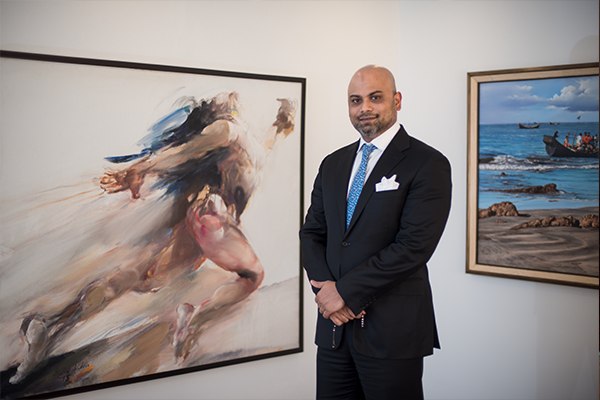 Rezaul Karim has relentlessly created new industrial ventures one after another. He pioneered import substitute industries and manufactured engineering products and service products to name a few. He established the largest Steel Fabrication Industry with the biggest Galvanisation Facility in Bangladesh, producing all types of galvanised steel power distribution poles. He also established the largest manufacturing facility of electrical power transmission towers & telecom towers, Prestressed Concrete Poles for power distribution, all types of electrical power distribution accessories, all types of electrical power transformers, all types of screws and fasteners, Steel Bridges, Prefabricated Steel Building, handling turnkey Infrastructure Projects, River Dredging Operations with own imported high-tech dredgers from Denmark, IGX Telecom Gateway Operations, industrial and Marine paints under joint venture with Asian Paints (Bangladesh) Ltd., and the list shall continue to grow. Confidence Group has further added laurels to its hat by implementing 4 major turn-key power generation projects on BOO basis, totalling over 450 MW, located in Chittagong, Bogra and Rangpur, commencing its commercial production in phases starting from Nov, 2018. Upon its full implementation, Confidence Group shall join the prestigious league of businesses with annual turnover exceeding 600 million! Engr. Rezaul Karim continues to lead and inspire the whole industrial group, his team members and investors with his leadership, hard work and dedication. He remains committed, still working 8-10 hours a day. 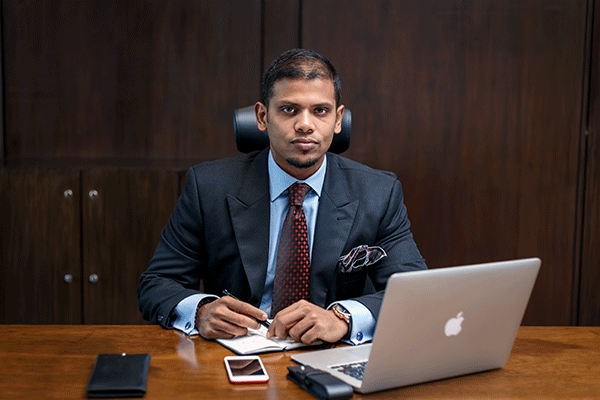 A visionary entrepreneur at core, Mr Imran Karim completed his Bachelor of Science in Electrical and Computer Engineering and his Bachelor of Arts in Economics in 2003 from the University of Rochester. During this time, he was involved in an organization called the “Who’s Who of United States” that comprises of the top 0.5% of all university students in USA. Subsequently, Mr. Imran Karim joined Confidence Group in 2003 as the Director of Confidence Cement Ltd. However, his first endeavor wasn’t a successful one. Nevertheless, he did not yield in the face of an early failure, rather enjoying and valuing it for the lessons; eventually taking over the business development of Confidence Steel Ltd. In 2006, under his guidance, Confidence Steel started producing telecom towers and within the same year, became the market leader. Currently, Confidence Steel Ltd has almost 70% of the market share in both transmission towers and telecom towers. After his first successful endeavor, he decided to expand into other sectors and with Confidence Group, in alliance with Energypac, opened an 11 MW power plant in 2009, followed by a 108 MW power plant in 2015. In 2012 Confidence Group entered the telecommunication market, under the name Digicon Telecommunication. Under his leadership, Digicon took a lead role in the formation of International Gateway Operators’ Forum (IOF), and made the sector profitable for everyone. Later, Confidence Group also ventured into battery manufacturing, quickly becoming a market leader in the industry all due to the far-sighted vision of Mr. Imran Karim. He is currently serving as the vice-president of Bangladesh Independent Power Producer Association, and is an executive member of Telecom Infrastructure Operators of Bangladesh. In 2016, he was chosen as one of the winners of the JCI Ten Outstanding Young Persons of Bangladesh, an award given out by Junior Chamber International Bangladesh. Mr. Rupam Kishore Barua, one of the directors of Confidence Group, is an intrepid and industrious individual who has worked hard all his life to achieve excellence. He obtained his graduation degree from Chittagong College in 1968 and during his student life he was involved with various causes and organizations, making him a multifaceted human being. During his student life he was the vice president of Chattra League Chittagong City unit from 1969 to 1970 and was a frontline cultural activist and organizer of many socio cultural organizations. Later in his life, he became the municipal commissioner of Chittagong Municipality and was District Governor of Lions Clubs International, District 315-B4 of Bangladesh. Still now Mr. Barua is involved with many social service organizations. Mr. Rupam Kishore Barua is a man with immense patriotism. Due to his patriotic zeal, imbued with the spirit of liberation struggle, he participated in the liberation war for the freedom of our nation. After liberation, in 1972, Mr. Barua entered professional life and started his career with a shipping job in Atlas Shipping. Later in 1980 he joined Maritime Agencies Ltd. and became General Manager of that company. 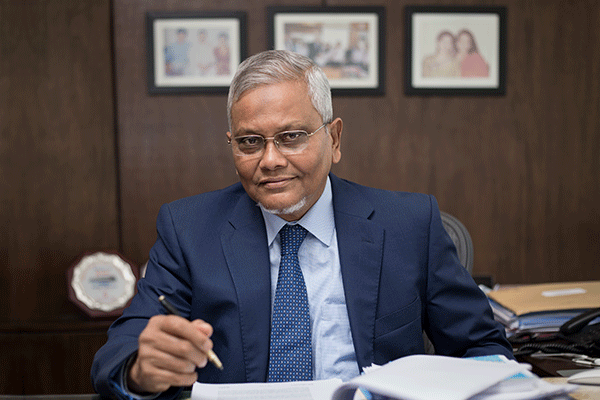 In 1985 he started Confidence Shipping lines and in 1992, along with other entrepreneurs, he established the first local cement manufacturing industry in the private sector of Bangladesh – Confidence Cement Limited. At present he is one of the Directors of Confidence Group. Due to his vast contribution in social service, Mr. Rupam Kishore Barua has been awarded the United Nations Award in 2002 for Socio Cultural Activities, the honor of DHAMMADUTA by International Brotherhood Mission India and the Melvin Jones Fellowship Award from the Lion’s Club. As for his personal life, Mr. Rupam Kishore Barua was born in Chittagong, to a renowned Buddhist family, on 4th June 1948. His father, Late Phani Bhushan Barua BABL, was also an Ex. MLA of the then Pakistan and President of all Pakistan Buddhist Association. Mr. Shah Muhammed Hasan is an industrious and charitable person. Graduating from the University of Karachi in 1970, Mr. Hasan began his career in government service in 1967. After serving for nine years he retired, joining Bangladesh Inland Water Transportation Authority (BITWA) as the Commander of Survey Vessels in 1977 and later he joined the Chittagong Port Authority in the Marine Department in 1979. 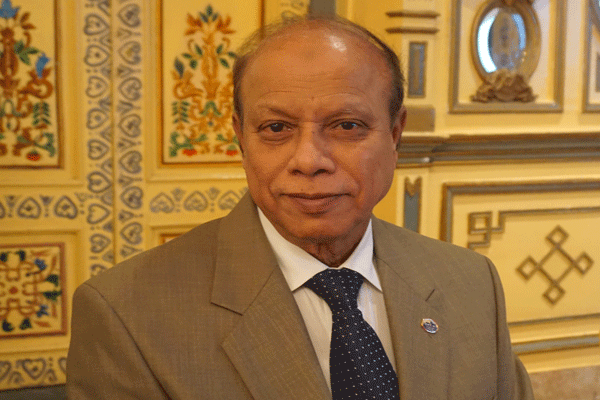 He started his entrepreneurial career in 1984, with a shipping and CNF business called Mariners Bangladesh Ltd. Finally, in 1992, Mr. Hasan joined Confidence Group as a Sponsor Director of Confidence Cement Ltd, and has been a director ever since. In the meantime, he also began serving as a Director for Prime Insurance Company Ltd.
Other than his professional career, Mr. Hasan is also a decorated member of Lions Club International and has served as the Past District Governor of Lions Club International. He is also a lifetime member of Bangladesh Lions Foundation, as well as the Chittagong Lions Foundation. Lions Club has recognized him for several awards, which include Lions Club International Presidential Award (twice), Lions Club International Leadership award (3 times), and the Lions Club Membership Growth Award. He is also a member of Bangladesh Cancer Foundation, Maa-O-Shishu Hospital and is also involved with Autistic Children’s Welfare Foundation, organizations for the blind and hearing-impaired children. Thus his work on social and educational development is highly admirable.